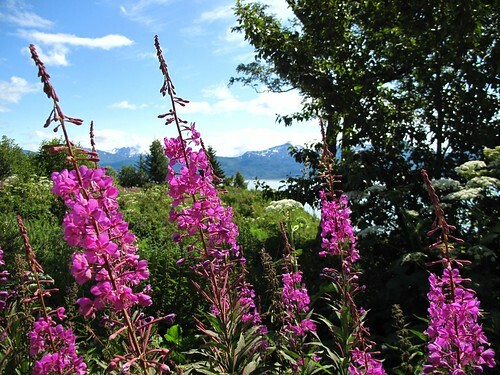 I’s the height of fireweed season in Alaska. The winds carry gentle scents of these summer markers. Many say you can start looking for salmon berries when the fireweed is in full bloom. Also blooming is the Wild Celery with it’s umbrella like clusters of white flowers. 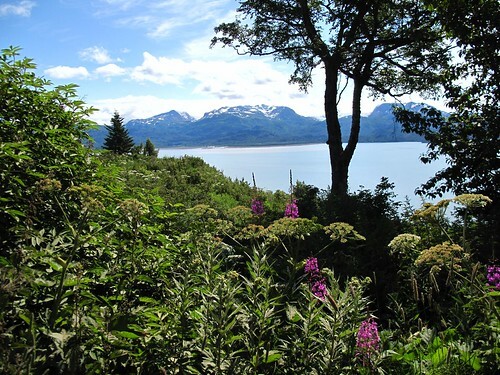 These blooms overlook Katchemak Bay.